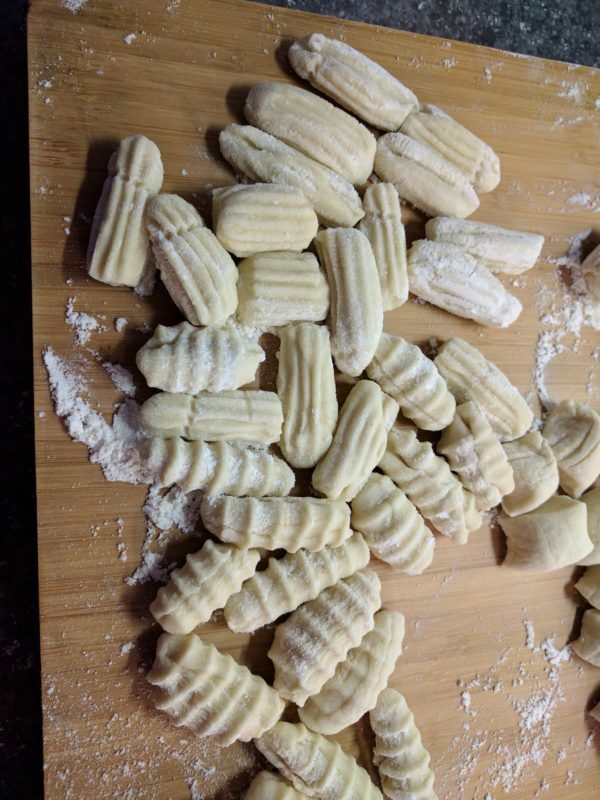 I am in love with this recipe for cavatelli. 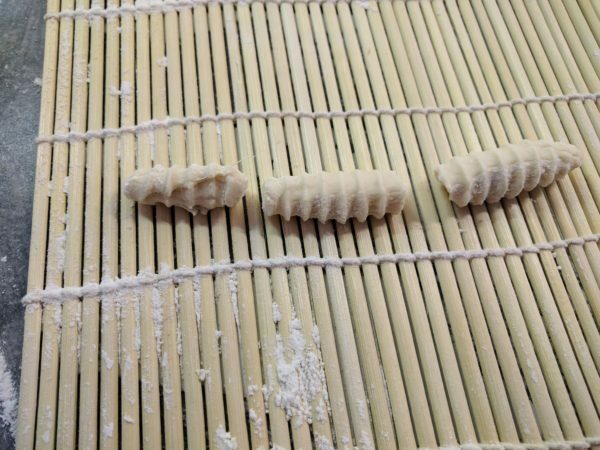 It is a denser noodle than I normally enjoy, but it is relatively small shapes that are much neater for children to eat than the long strands of spaghetti. 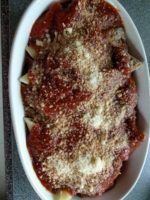 It goes extremely well with a hearty marinara sauce with meat. It is also fun to make. I made this the first time with our 3 1/2 year old granddaughter and she loved helping with it! She also loved how they tasted! 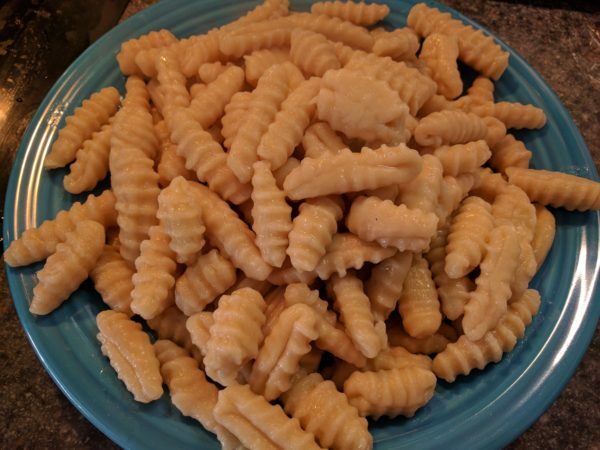 The cavatelli can be made up ahead of time and frozen, before boiling, in a single layer on a cookie sheet. No need to thaw before cooking. Combine all ingredients in a mixer bowl. (I used a Kitchen Aid stand mixer, but probably any heavy duty mixer will do.) Mix until ingredients come together to form a ball. It may be necessary to add a little more water, but start with this and check it after it starts to come together. You don't want it too sticky, but you don't want it too dry either. 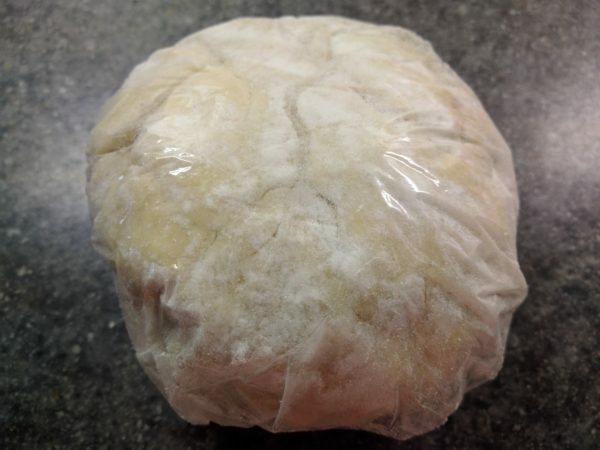 Wrap in plastic wrap and leave on counter for about 30-60 minutes for the gluten to relax. 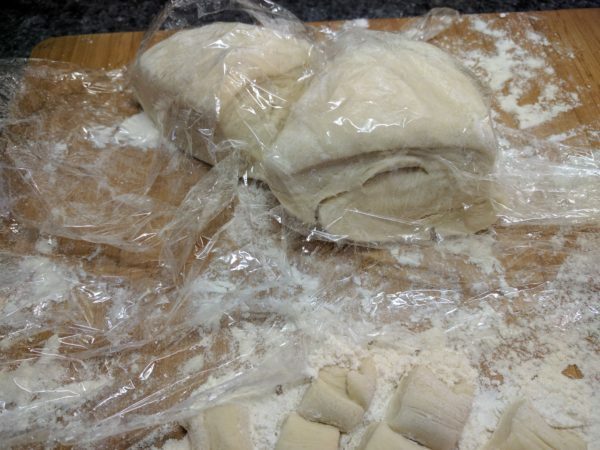 Divide dough into 4 portions and keep all unworked portions covered with plastic except what you are working with. 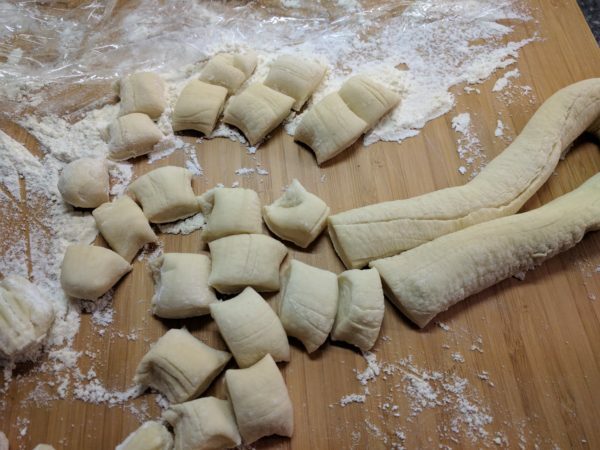 Flour your work surface and roll the first portion of dough into a long rope. Keep working on it until it is about 1/2" thick. Use a pastry scraper or knife, cut into somewhat equal lengths of about 1/3-1/2". Flour your work surface. You can use a sushi rolling mat, a gnocchi board or just onto a cutting board or other work surface. I prefer the sushi rolling mat. I got mine on Amazon for $5. I can place a few pieces on the mat at a time. 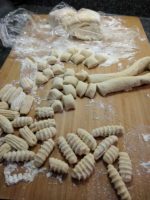 Then using a pastry scraper or the back of a knife or even your thumb, press down on the pieces of dough and pull back. The dough will make a roll back on itself to make a cute tube shape. 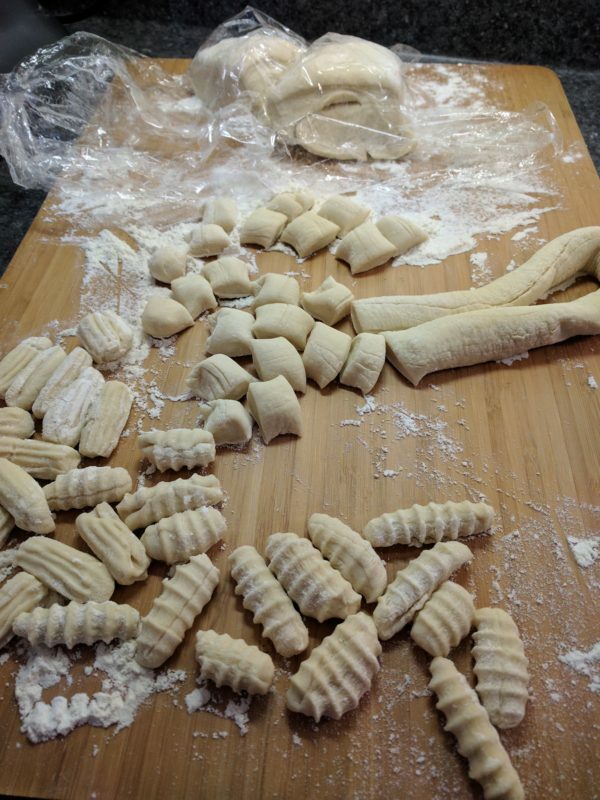 Continue working the rest of the dough until all of it has been shaped into cavatelli. 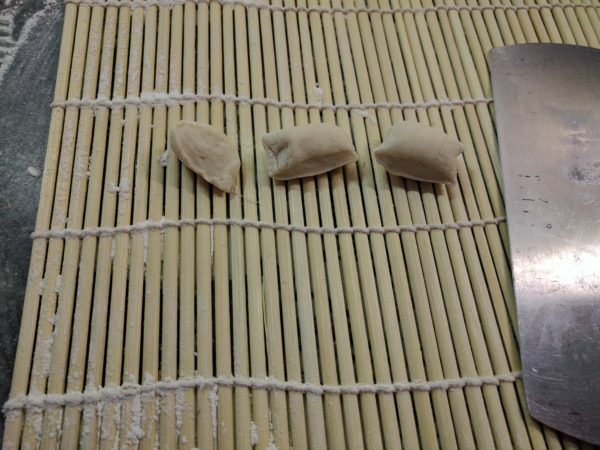 You can go either direction on the sushi mat or the gnocchi board to get the pattern you desire. I like going the long way on the sushi mat. Meanwhile, bring a pot of water to boil and add sea salt liberally. I also added some olive oil to prevent the pasta from sticking together. 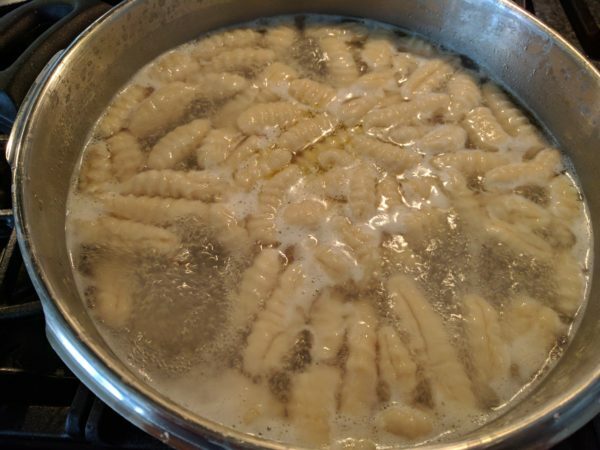 Boil the cavatelli for a few minutes, then remove from water. 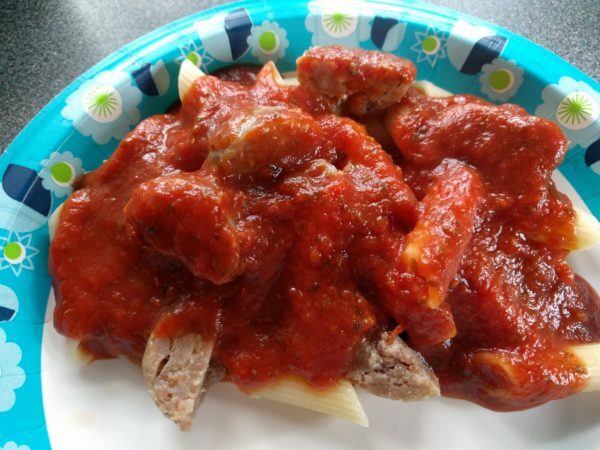 This is excellent served with a hearty marinara sauce with meat and cheese. I was looking through various pasta recipes today, and they were all basically the same: flour, eggs, salt, some with or without oil or water… But a comment on one of the recipes really struck me. 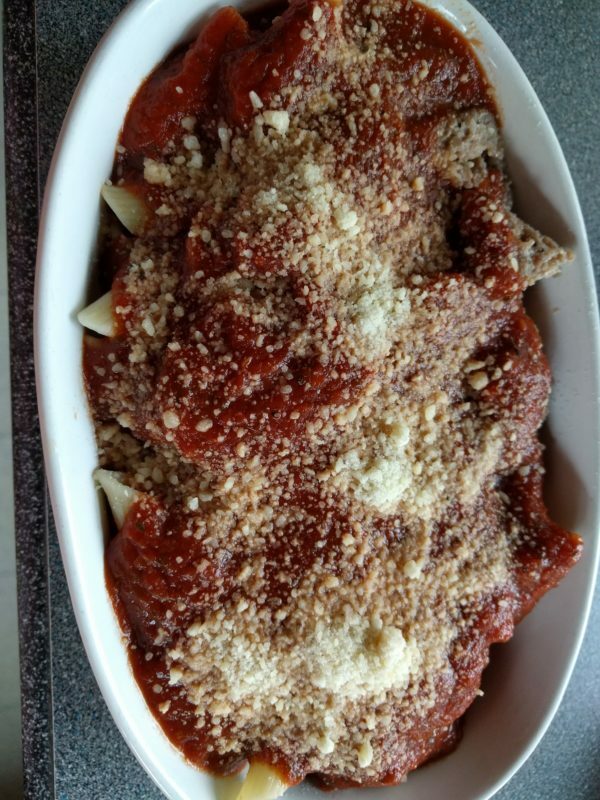 It was saying that they prefer this recipe over the one that they were reviewing because it was so much easier to handle. I decided I needed to give it a try, so I made a batch of noodles as a side dish. I think these were the best noodles I have ever tasted in my life! And the dough was indeed very easy to work with. I am definitely going to make this recipe again!!! Combine all ingredients in bowl of stand mixer until a ball of dough is formed. Wrap in plastic wrap and set aside for 30-60 minutes. Process with Kitchen Aid pasta attachments. Cook in boiling salted water for 2 minutes. This is the recipe my daughter-in-law gave me. She says that she tweaks the ingredients, such as salt, pepper and garlic. Also, she prefers more parmesan, but our son (her husband) prefers it this way, so it is a personal preference. Melt butter in a saucepan and sautee garlic until tender. 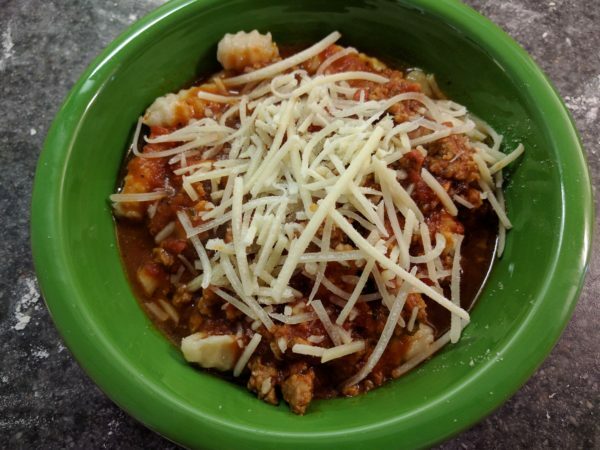 Add remaining ingredients and cook over medium heat, stirring, until cheese is melted and ingredients are blended. 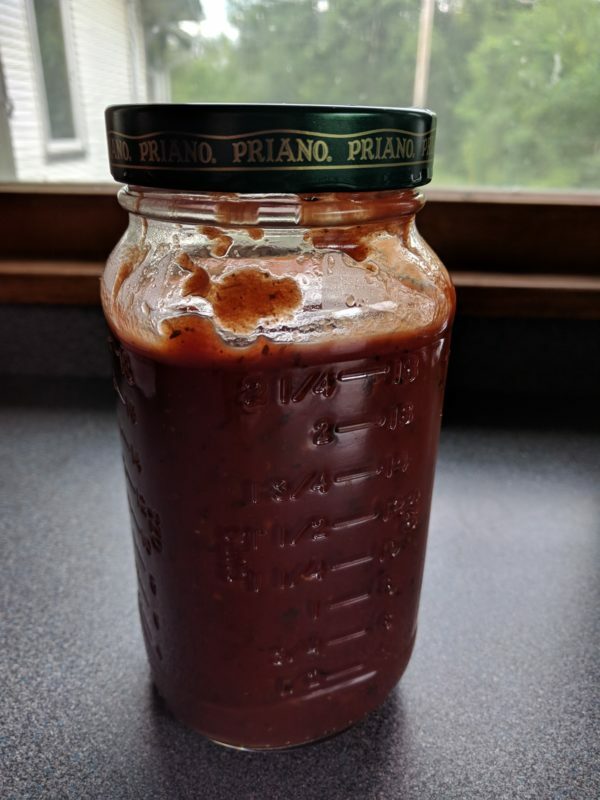 I will never buy pizza sauce again after discovering this recipe! It is quick, easy and thick, and does not require any cooking before it goes on the pizza!